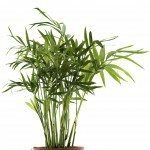 What is the best Bamboo species to plant in a container in CT weather? I want to make a patio with bamboo planters to add privacy. Here are a few articles for you including a guide to cold hardy bamboo plants.